Winning two of three from the red-hot Braves was a good start to the homestand. Next up, “Big Puma” Lance Berkman and the Houston Astros for a three game series this weekend. 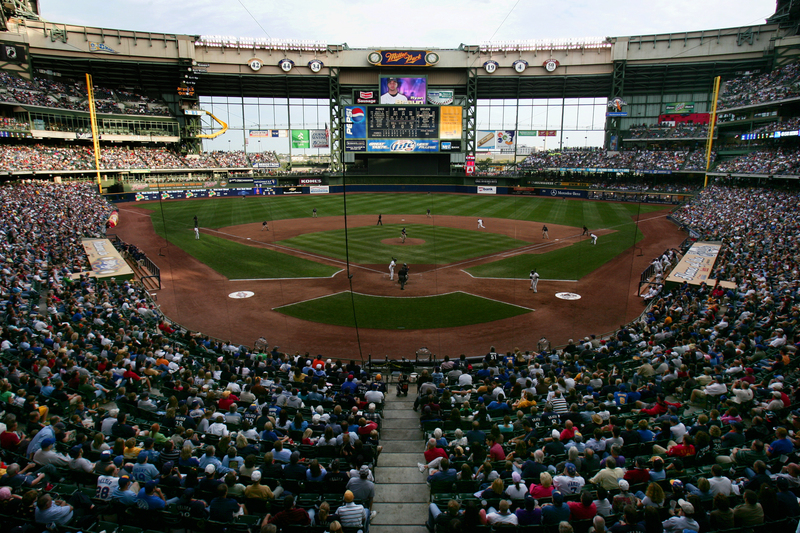 We’re expecting huge crowds so if you’re interested in joining us at Miller Park, get your tickets quickly! The Brewers have won 5 of the last 7 games at Miller Park. They’ve also won 6 of the last 10 overall. The Astros make thier first appearance in Milwaukee this year. The Crew hopes to return the favor after being swept in Houston earlier this season. The Crew has won 8 of the last 10 games versus the Astros at Miller Park. The Houston Astros are 14-9 since they last played the Brewers May 4. The ‘Stros like to run so Jason Kendall will be tested this weekend. Houston has stolen 61 bases coming into today, which leads all of baseball. Kendall has thrown out 13 baserunners this year for a 39% caught stealing rate. He threw out 13 baserunners all of last year. Vote Brewers! As we mentioned on the air recently, Bill Schroeder and I will take you to lunch at Friday’s Front Row Grill if you turn in the most All-Star ballots in one stop at the Polling Station at Miller Park. Legal-ese version: Commencing on May 30, 2008 and ending on June 4, 2008, participants may enter the sweepstakes by obtaining and returning to the Brewers Polling Station (first base line of Field Level concourse) as many completed All Star Ballots as possible in a single (1) trip. All Star Voting Ballots are available in various locations free of charge. No purchase necessary to participate or to win. See Official Rules for alternative entry mechanism. All valid participants must provide MBBC with all requested/required information. By entering the contest, participant agrees to be bound by and to adhere to the official rules. t’s great to be home and the Brewers are looking forward to a nine game homestand at Miller Park. I know the players are anxious to finally see some friendly faces and hear the home fans actually rooting FOR them. The players are sensing an opportunity this week to get back to winning against some good teams. Through the first 51 games, I’d say the biggest issue is confidence, not talent. That’s actually a good sign. This ballclub is centered around youth. Sometimes young players wonder “if” too much. Ned and the coaches are doing more couch- work than coach-work at this point. Hitters are feeling the burden to score, pitchers are feeling the burden to stop the scoring and the defense, although improved, has been suspect at times. So light a candle, breath through your eyelids and bring some of that Zen-Voodoo-Stuart Smalley-positive energy with you to Miller Park and see if you can help turn the tide as we hit June…two months down, five to go, right? 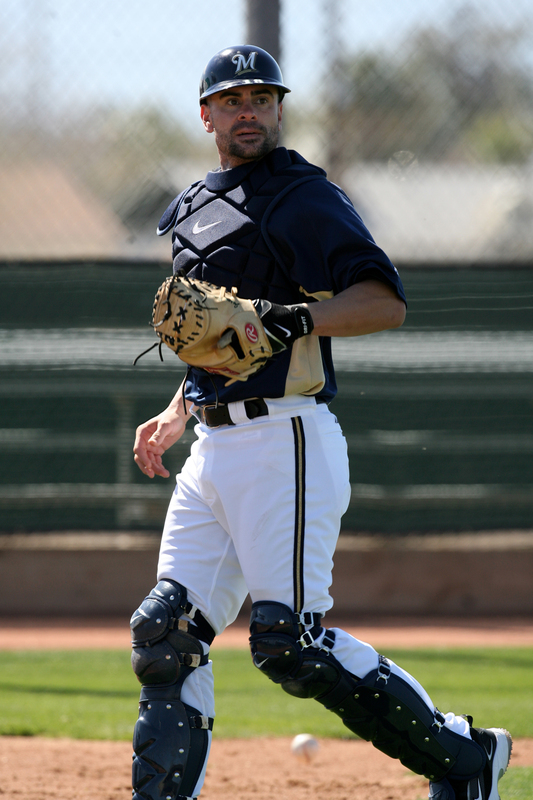 – Atlanta won five of seven games versus the Brewers last season, including two out of three in Milwaukee. – Atlanta just finished their 11-game homestand with an 8-3 record, and are 22-7 in home games this year (6-16 on the road). – With Monday’s 4-3 win over the Nationals, the Crew has now won 10 games in their final at bat this season, best in the NL. – Dave Bush is 1-1 with a 4.67 ERA in three home starts this year, versus 0-4 with a 7.67 ERA in six road games. – Over his last five starts, Tim Hudson is 4-1 with a 2.25 ERA, and has held opponents to a .184 batting average. – Atlanta is the only team in the majors with four players who have at least 30 RBI (Chipper Jones, 35; Jeff Francoeur, 32; Brian McCann, 32; and Mark Teixeira, 31). – Ryan Braun just accomplished his one year anniversary in the Majors. Since that time, among all MLB hitters, Braun ranks 2nd in homers (47), 2nd RBI (134), 1st in Total Bases (403) and 3rd in Slugging % (.610). Well, it’s been a struggle for the Crew this week. The schedule has not been kind and the theme in the Brewers clubhouse is “weather the storm.” They say, “talent prevails” so let’s hope the significant talent on this team will start prevailing soon. Hang in there, fans. Better days are coming. This month’s entry on the House of Blogs is courtesy of FSN Wisconsin reporter Trenni Kusnierek. In an odd twist of scheduling, the Brewers have been on the road far more often than Miller Park during the first month of the season. To be exact, when the team returns home on Friday, May 9th they will have played just 13 games in Milwaukee as opposed to 21 away from the city. From a baseball standpoint, the team has fared pretty well. Through the Sunday game against Houston, the Crew has nine wins and nine losses on the road. They have managed to overcome rain delays and steady showers along with freezing temps and unbearable humidity. Off the field, I’m not sure how well any of us are managing the long stretches away from family and friends. One would be hard pressed to find any individual–be it a player, manager, coach, or member of the media– who would openly complain about working in the big leagues. The ball parks are beautiful, the cities have plenty to offer, and at the end of the day we are all playing a game. But all of those positives can’t make up for the fact that every week or so your life is disrupted and wives (and in some cases husbands), kids, friends, and family are left behind. I think what often gets lost behind the box score, is that the players wearing a uniform are real people. The guys have bills to pay and kids to tuck into bed. On post games bus rides there is often a steady murmur of the quiet “I love you” or “be good for mommy”. There are shopping bags being lugged around with American Girl dolls and sweet smelling leather baseball gloves. And thanks to technology fatherly advice is even passed along via a webcam. One of the most common inquiries I receive as a member of the traveling party is, “what is it like on the road?” Well, it’s long and at times arduous. There is no good way to pack for a ten day, three city trip where the temperatures will range from 35 to 85 degrees. We leave for our destinations about an hour following the series finale, even if that means boarding a plane close to midnight after a long night game. We do get to travel by chartered plane which is a nice perk. It takes away long security lines and having to buy fast food at the airport. Oh, and there is no worry about a getting a bad middle seat! I wish I could offer interesting, insider information, but not many shenanigans taking place away from home. Plane rides are filled with reading, movies, and sleeping and once we’re at the hotel it’s more movies, sleeping, and shopping. The one positive about being gone for long stretches of time, it forces everyone to be together. You often see players car pooling to the park or grabbing a bite to eat. For those of us in the booth, we go for long runs and walks which allows us to get to know each other outside of work. Also, Brian and Bill know all the good restaurants, so when we break bread, it’s really good bread! The time together helps everyone become a better team–on and off the field. With that said, it will be nice to finally come home at the end of the week. We look forward to seeing you at Miller Park!